Agate Export supplier of unique collection of healing stick, wands, chakra wands, gemstone wands. 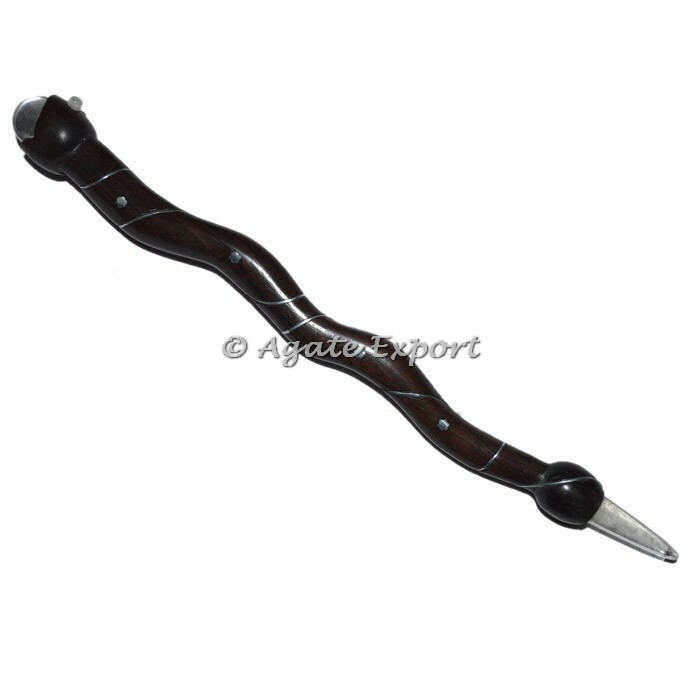 Buy From us Snake Shape Wooden Wands, Rosewood Stick. Your own desing kinldy contact to us..
Tiger Eye 16 Faceted Massage Wands With Chakra. Golden Quartz Hand Made Chakra Wands.